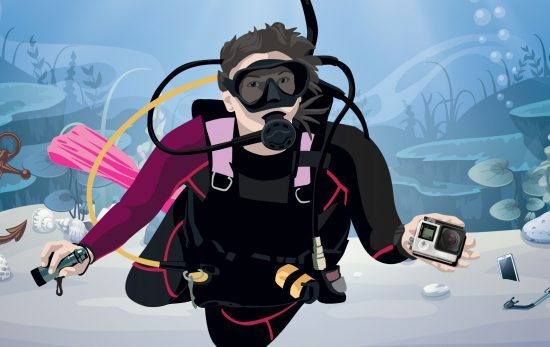 With AWARE Week quickly approaching, the dive community is coming together to make sure this movement makes waves around the globe. 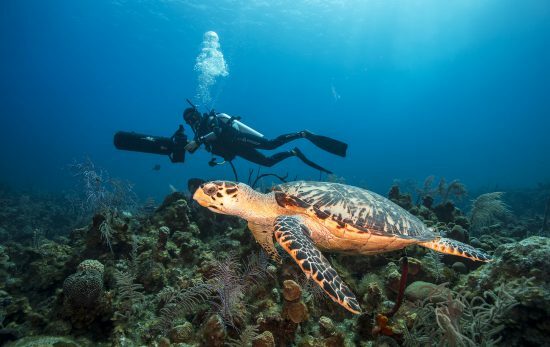 A collaboration between PADI® and Project AWARE®, the week of activities aims at spreading the message of conservation and heightened awareness around marine life protection. 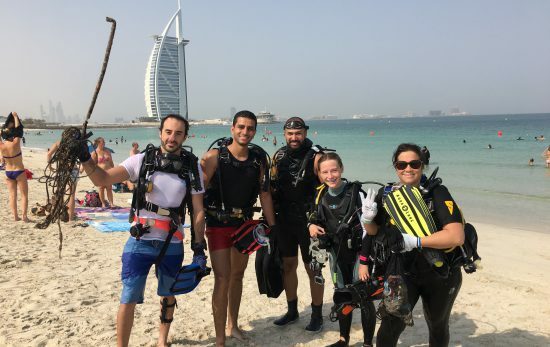 From 15-23 September 2018, divers, instructors, dive centers, resorts and local dive groups are participating in eco-minded activities that include everything from Dive Against Debris® events to Project AWARE specialty courses. But the conservation efforts won’t end there. Come week’s end, Project AWARE will contribute underwater data to the Ocean Conservancy for its annual International Cleanup Day report. 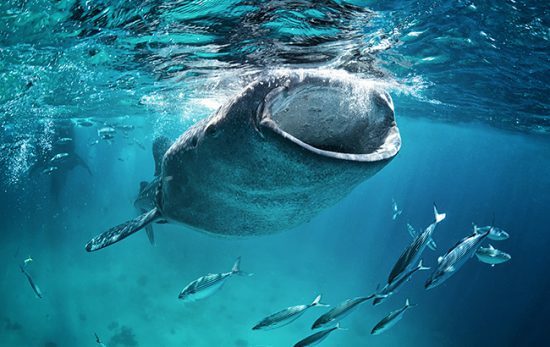 This information will prove vital to the Ocean Conservancy, an organization that, like Project AWARE, uses science as a solution for ocean and wildlife threats, and which is behind programs that include the Whale Protection Fund, an initiative that banned commercial whaling in 1992. The Ocean Conservancy was also behind the world’s first International Coastal Cleanup in 1986, when 2,800 volunteers collected 7,900 trash bags of trash weighing 124 tons. Every year, as the event continues to gain momentum, so do the numbers: Last year, volunteers removed over 20 million pounds of trash from the land and sea. With this year’s International Coastal Cleanup Day slated for 15 September, the results promise to be even more impressive. With the combined effort of AWARE Week, the dive community is dedicated to conservation through education, participation and collaboration. Want to join the army of volunteers and take action – fins on or fins off? 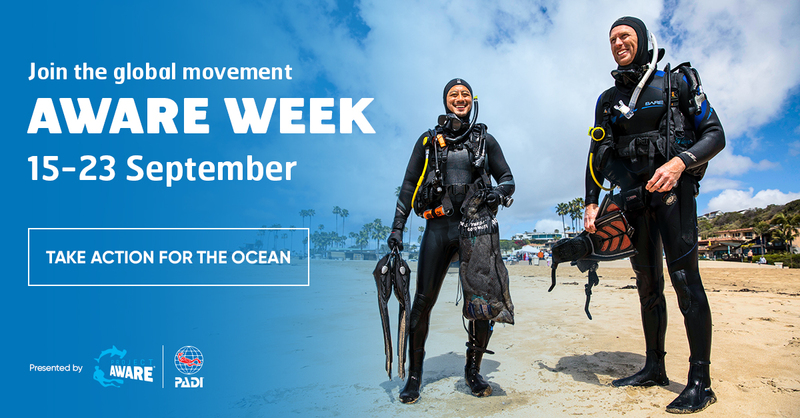 Visit the AWARE Week site to learn how you can use your dive skills to become a more active steward for the ocean.